Celebrate Día de los Muertos, Latin America’s Day of the Dead at art shows, parties, and family festivals throughout Houston through Saturday, November 10, 2018. Whether you’re looking to make your way to a one-of-a-kind Day of the Dead art show, or enjoy family-friendly activities there are plenty of parties to let loose at for Dia de los Muertos in Houston. 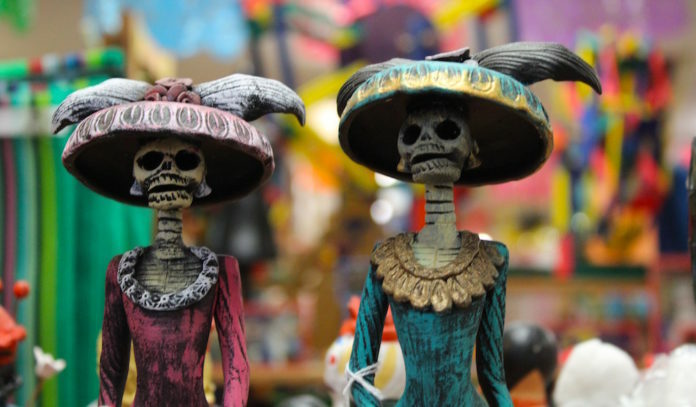 Dia de los Muertos: Traditions and Altar Building at Casa Ramirez FolkArt Gallery | Saturday, October 13 and Saturday, October 20 | No Cover – The Casa Ramirez FolkArt Gallery hosts a class on the traditions of Dia de los Muertos and the components of building a personal altar to honor ancestors and loved ones. 10am both days. 12th Annual KBR Kids Day at Guadalupe Plaza Park | Saturday, October 13 | FREE – Buffalo Bayou Partnership hosts the 12th annual KBR Kids Day at Guadalupe Plaza Park in the East End. 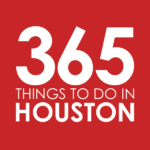 Activity stations will include many hands-on activities from more 20 Houston nonprofit organization partners, pontoon boat tours, local entertainment and performers, Dia de los Muertos face painters, balloon artists, a rock climbing wall and more. Costumes are encouraged. 11am to 3pm. Dia de los Muertos Festival at MECA Houston | Saturday, October 27 and Sunday, October 28 – MECA Houston hosts their annual Día De Los Muertos Festival: Honoring our Past, Celebrating Our Future. Recognizing the differences in Latin celebrations of Dia de Los Muertos, this event focuses on the common theme of honoring family and friends. Expect music, dance, theater, food, and visual arts from different Latin American countries at MECA’s nationally recognized historic Dow School in the Sixth Ward. 11am to 7pm each day. Calaveras Y Diablitos Art Show at The Hardy & Nance Studio | Saturday, October 27 | FREE – East End Studio Gallery presents the Calaveras Y Diablitos group art show, a one-day art show in celebration of Hallows Eve, life and the afterlife at The Hardy & Nance Studios. 5pm to 9pm. Dia de los Muertos Celebration at Kemah Boardwalk | Sunday, October 28 | FREE – Celebrate the Day of the Dead with activities for the kids, a DJ, live dance and musical performances, and a screening of Pixar’s Coco. 2pm to 9pm. Dia de los Muertos Celebration at National Museum of Funeral History | Thursday, November 1 to Sunday, November 4 – Celebrate Latin American customs that surround the Day of the Dead with fun, interactive, and commemorative activities at the National Museum of Funeral History. Check out authentic altars created by local artists, commemorate your loved one by leaving them a message in the “Book of the Dead”, and enjoy parent-supervised activities for the kids and a screening of Pixar’s Coco. Included with general admission to the museum. Times vary. Dia de los Muertos Block Party at Magnolia Park | Saturday, November 3 | FREE – Bring your family and friends to the 5th Annual Dia de los Muertos Block Party in the historic community of Magnolia Park. Participate in traditional Dia de los Muertos customs and enjoy live music, vendors, art, and a photo booth. Noon to 7pm. Dia de los Muertos in The Heights | Saturday, November 10 | FREE – Celebrate the rich culture and significance of Dia de los Muertos with interactive exhibits and performances at Montie Beach Park in The Heights. 2pm to 7pm.